The name for excellence in material handling equipment, Moffett, has been around for over 70 years and it has just gotten better and better. Its wide range of versatile forklifts has dominated whichever industry they have been used in. 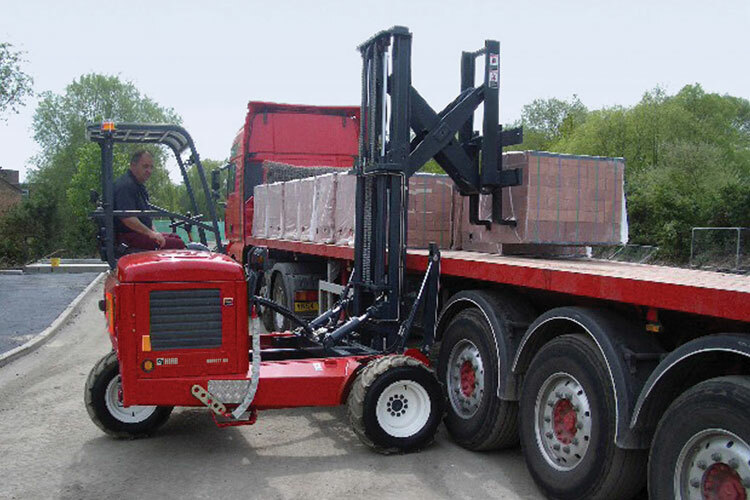 Most popularly, Moffett forklifts have been used to transport agricultural material, building material, poultry equipment and extensive use in the defense industry. Their ability to boost the productivity of onsite operations, lower transportation, and administrative costs as well as guarantee the safety of the operator and all the other employees on the worksite are just some of the features that have made them unbeatable. 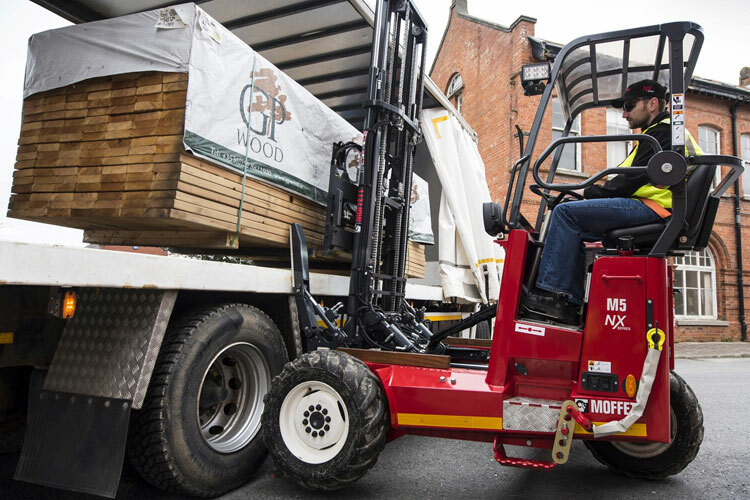 The real point of differentiation for Moffett is their ability to mount and dismount from the back of trucks which has allowed businesses everywhere to save significant costs as well as enhance operational efficiency and meet deadlines. After all, there is a reason that there are over 55,000 Moffett forklifts used in the United States alone and the company operates in over 45 countries worldwide including the UK, Canada, Australia, and India. With so many benefits provided by a single manufacturer of forklifts, it is essential for any fleet manager to remain up to date with any new additions to their already widespread line of products. Since different Moffett forklift models provide different features and benefits, therefore in-depth knowledge of their product line will help you decide better which Moffett forklift would fulfill your business needs the best. This article discusses the top five Moffett forklifts used in the United States and other countries that could be a valuable addition to your fleet, and help you not only improve onsite operations but save costs and reduce the danger of forklift-related accidents. The Moffett M5 is one of the widely sold Moffett forklifts worldwide and it is easy to see why. 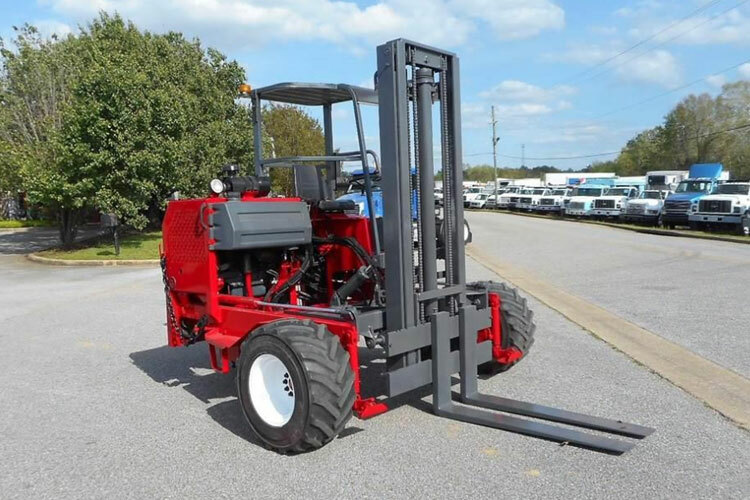 This forklift is used in a wide array of application areas from building material, animal feed, and industrial gas to timber, scaffolding, and turf. With a lifting capacity between 2000kgs and 2500kgs, it is one of the most useful and agile Moffett piggyback forklifts in service. Its four-wheel drive and safety features make it the perfect companion for semi-urban distribution. Even the used models of the Moffett M5 are incredibly durable and perform exceptionally due to their long lasting life and sturdy design, given that they are bought from authentic and reliable retailers such as Bobby Park Truck and Equipment. The Moffett M8 is another great material handling the piece of machinery. 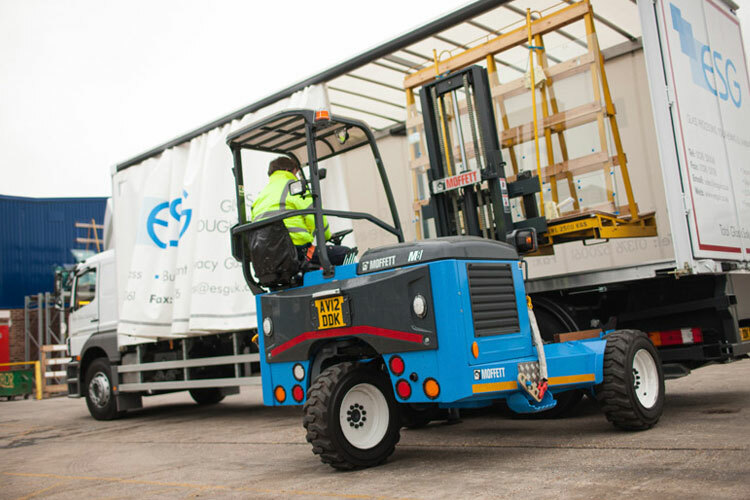 It can be used for transporting material over rough terrain which is something that cannot be said for a lot of forklifts out there. Usually, forklifts tip over when driven over uneven or rough surfaces but the Moffett M8 with its hydraulic stabilizer and special design to tackle the outdoors is the perfect machine for the job. It can carry loads ranging between 2500 to 3500kgs and is most commonly used in application areas of building materials, animal feed, agriculture, roofing and fire, and rescue services. The NX series is a new release by Moffett in April of 2018. It enhances the performance of the Moffett piggyback forklifts, further adding to their already existing dominance. The Moffett M4 NX offers better performance, easier maintenance along with enhanced styling and improved safety and control features. It seems to have improved the already excellent original Moffett M4 which is used for industrial distribution, carrying materials such as industrial gas, LPG gas, chemicals, and agricultural material. The Moffett M5 NX improves the functionality and value of the Moffett M5 by providing added features such as GroundStart™ which makes it even easier to mount and dismount the forklift on the back of the truck, SafetyPlus™ which has improved the safety for the operator by increased visibility and LED lights/beacons as well as interlocking seatbelts and LiftAssist™ which provides extended reach for the mast to handle loads leading to higher efficiency and time saving as well. The Moffett M5 NX is the next goliath of the material handling industry since its predecessor Moffett M5 original is still regarded as one of the best forklifts around. Another of the NX series, the Moffett M8 NX has improved upon the already adaptable and durable Moffett M8. The hydraulic control made of single combined hydraulic assemble makes this forklift reliable and easy to operate, not to mention it is now easier to maintain than ever before. 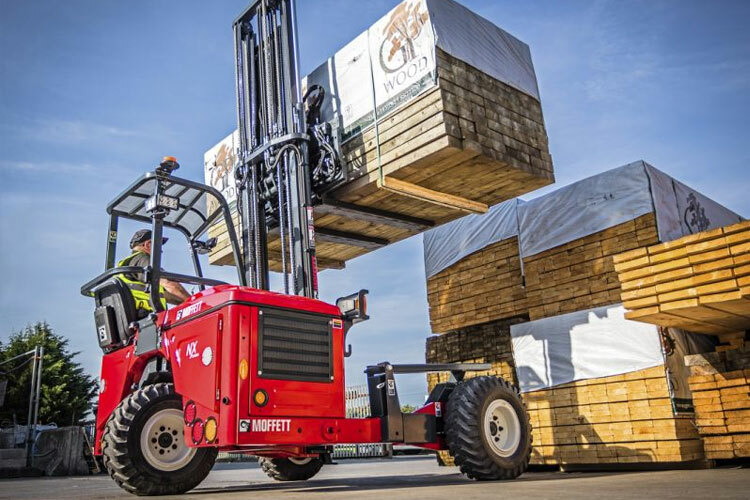 The Moffett M8 NX is the forklift you need if your business relies on timely deliveries that have to be made over rough terrain. 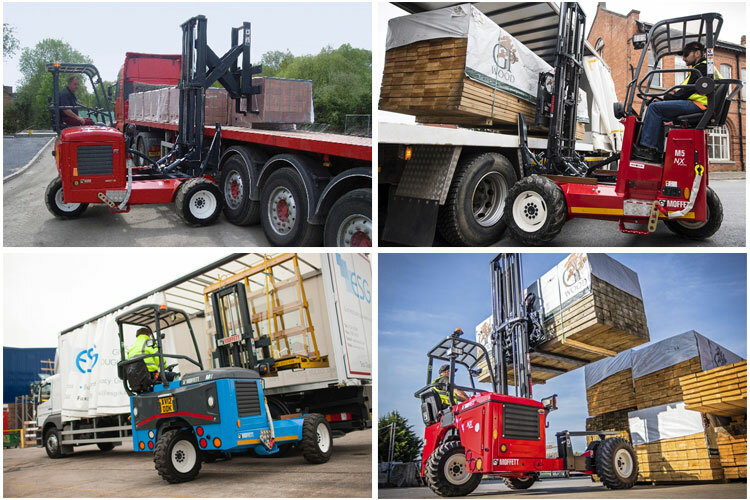 These were the top 5 Moffett fork trucks that need to know for any operations manager who aims to sustain and expand their business beyond the horizons.